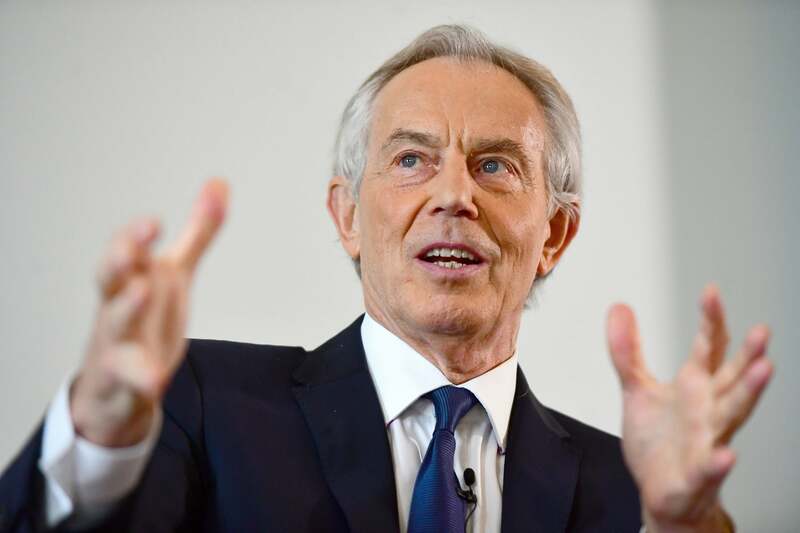 Tony Blair has said that a no-deal Brexit will lead to a "really hard border" in Ireland that could prove "devastating" to the peace process. The former Labour prime minister stepped up his warnings over the consequences of a disorderly exit from the EU, saying such a departure could lead to a breach in the Good Friday Aggreement and cause a "huge fissure" in the UK. Mr Blair, who has backed The Independent's campaign for a Final Say vote, said a second referendum might happen "when people see what the true Brexit alternatives are". He told Sophy Ridge On Sunday: "No one could responsibly propose (a no-deal Brexit). It would be economically very, very dangerous for Britain, and for the peace process in Ireland it would potentially be devastating. "You would have a hard border, very hard border. "A no-deal Brexit means a really hard border between north and south in Ireland, it's contrary to the Good Friday Agreement and it will cause an enormous fissure within the United Kingdom." Mr Blair said: "I've never thought that you would get to another referendum going directly to it - you'll get to it when people see what the true Brexit alternatives are. And the truth is there are two. "You can have a soft Brexit, which is really what Jeremy Corbyn is suggesting, or you can have the hard Brexit that Boris Johnson and Nigel Farage and other people want." He said the type of Brexit must be decided before the UK leaves the EU, arguing that a lack of clarity would lead to a lack of "closure". The ex-Labour leader said: "The argument just goes on, and by then you'll have left, you'll have paid your money up front, you'll have given up your negotiating leverage. "And for the country to do that, as Theresa May wants to do - to leave without knowing what Brexit you get - this would be, in my view, an incredibly foolish thing for the country to do. It's got to know where we're heading before we leave." Ms May travelled to Belfast, Brussels and Dublin this week for last-ditch talks after MPs ordered her to ditch the bacsktop mechanism, which acts as an insurance policy against a hard border on the island of Ireland.